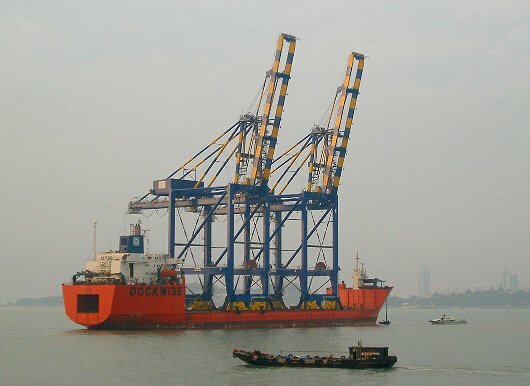 In November 2004, Noell China delivered 2 new container cranes to the MICT terminal in the new port of Mundra, India, using the heavy-lift vessel SWAN. 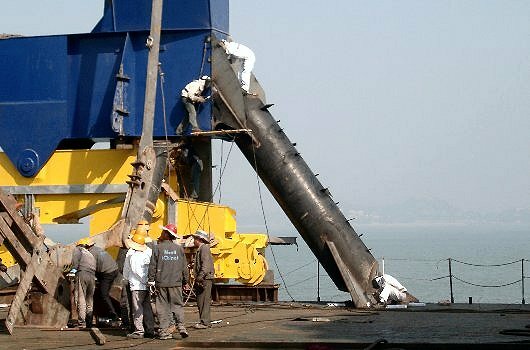 Argonautics Marine Engineering, Inc. was involved in both the loading and discharging operations. The cranes were built by Noell Crane Systems (China) Limited at their plant in Xiamen, China. 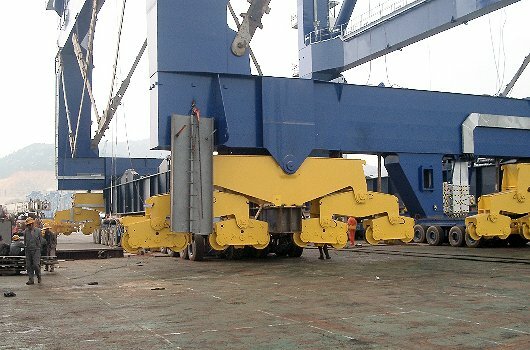 In sync with the tide, and while carefully ballasting the heavy-lift ship, both cranes were rolled on board, using multi-wheel trailers. Upon securing of the cranes and the associated loose cargo, the ship departed with destination India, where it arrived 14 days later after a smooth voyage. 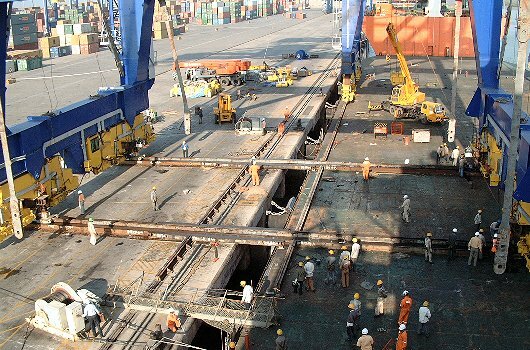 After arrival at the MICT terminal in Mundra, the seafastenings were removed and the skid system installed. In the course of a week, both cranes were safely skidded off and lowered onto the quay rails, ready for commissioning and testing. 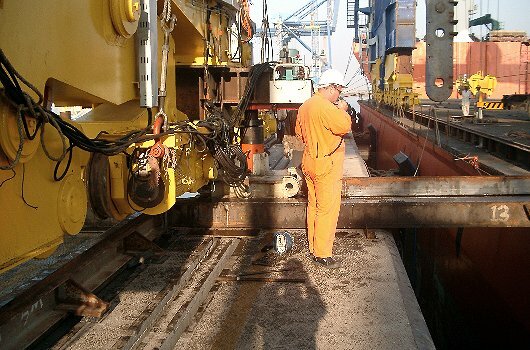 Provision of on-site assistance during the skidding off of the cranes in Mundra.